the discussions around how we should re-engage the user (aka notify the user) started taking place in github. This is a vast field. Has this tile been seen before?Has this tile been dismissed? 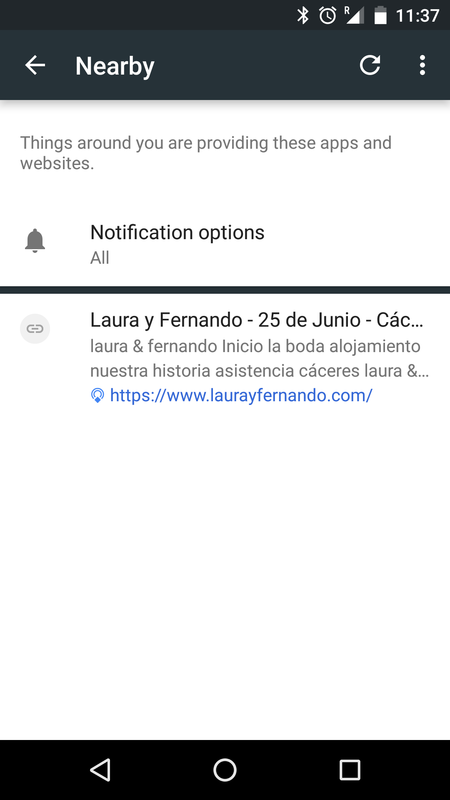 We should have a background service that is spawned periodically to scan for content, populating a ‘history’ database.We should not ping or buzz the user, but use a ‘subtle’ notification that appears in the tray without interrupting the user.If possible we’d also like the notification to appear on the lockscreen. Hi folks, more stuff related to notifications. 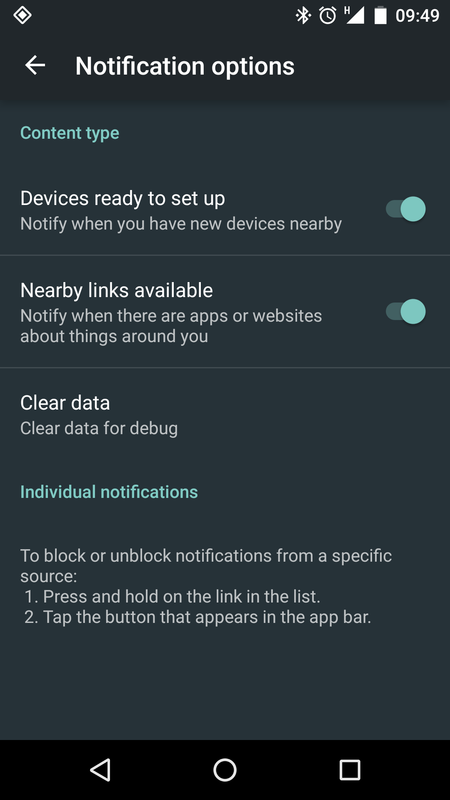 As you can see you they are rolling out the Nearby API, not just Physical web, but to me, this applies to PW too. Interesting to see concepts, like notify me of new things I found, or block notifications of an specific type. Hope this is interesting for you people! If you realise, the notification try post an icon, and a ‘sub’(icon) of the app that setups the notification. In this case the nearby icon. And specifies that is a link. Have the feeling that we have 2 competing products, nearby and physical web. 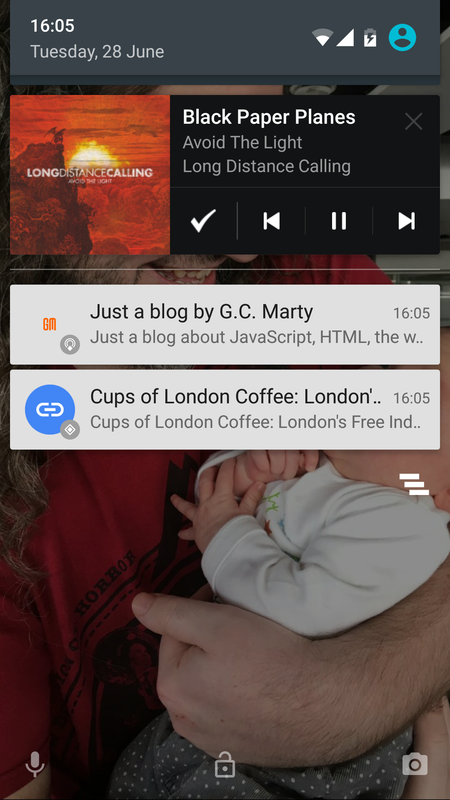 @scottjenson I’m a bit confused with both nearby and physical web, when I’ll receive notifications from which one?